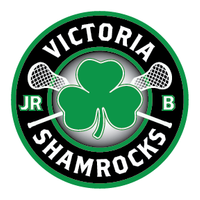 It is a big weekend for both Jr. Shamrocks teams as the Tier 1 Rocks play their last regular season home game Saturday at 1:00 pm. They will be taking on the Maple Ridge Burrards at the Q Centre. Prior to their game, there will be a chance for minor players to test the speed of their shots in the box between 11 and 12:00. The Tier 1 Shamrocks sit in first place in the league standings, 3 points ahead of the Coquitlam Adanacs who hold a game in hand. This week’s opponent sits in 3rd spot, well back. Victoria’s Patrick Dodds leads the league in scoring with 86 points, 8 ahead of New Westminster’s Alex Nimmo. Second among Shamrocks is Denton Macdonald with 58 points. After this weekend, the Shamrocks have just 1 game remaining, that being on the road against Maple Ridge next Saturday, July 7. Playoffs will begin the following weekend with the top 8 teams advancing into the first round. If standings remain unchanged, Nanaimo and Burnaby will be the teams on the outside looking in. The Q Centre will be unavailable for the weekend of July 14-15 due to Rock the Shores so alternate venues will be used. 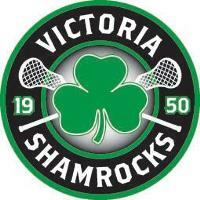 The Jr. ‘A’wShamrocks host the Langley Thunder at 4:00 pm Saturday and the Jr. Rocks wil lbe honouring the 1988 Minto Cup Winning team on the 30th anniversary of that win. Members of that team will be on hand for some special recognition and the current team will be wearing a specially-designed retro jersey which honours not just the 1988 team but also the 1962 and 1976 teams from Victoria which won Minto Cups. There will be a pre-game tailgate party featuring burgers by Mr. Mike’s Langford. After the game, players will be available for a meet-and-greet and fans can pick up team pictures and have them signed. The Jr. ‘A’ Rocks have 3 games remaining after today’s match-up. They will face the Delta Islanders on July 2, return home next Saturday, July 7 to take on the New Westminster Salmonbellies and wrap up the regular season on the road July 8 against league-leading Coquitlam. Playoffs begin the weekend of July 14 with only the top 4 teams advancing. The Rocks currently sit in fourth place, 2 points ahead of the Langley Thunder and 3 points behind both the Port Coquitlam Saints and New Westminster Salmonbellies. Braylon Lumb leads the team and the league in scoring with 82 points but PoCo’s Dylan Foulds is just 3 points behind. 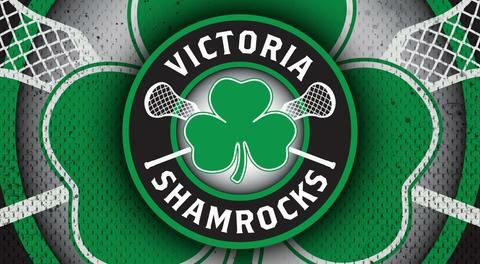 The WLA Shamrocks are also in action this weekend, taking on the Nanaimo Timbermen Friday at the Q Centre at 7:30. Each team has won once in the 3-game series so this is the ‘rubber match’ and the Shamrocks will be honouring First Responders and Military men and women. The Rocks then travel to Coquitlam Saturday to take on the Adanacs.